“Asian Review 039” ― Jakarta part 6 How this country with variety will grow? – Yoshimura Planning & Appraisal Co.,Ltd. Yoshimura Planning & Appraisal Co.,Ltd. “Asian Review 039” ― Jakarta part 6 How this country with variety will grow? How will this country with variety grow? The main streets of Jakarta partially have appearances which are suitable to represent the megalopolis with 30 million population, but compared with Tokyo, people’s activities look like more relaxed somehow. The majority of people are Muslims, but their commandments are not so strict, and is seems to be a national character to recognize the diversity of people’s characteristics each other. 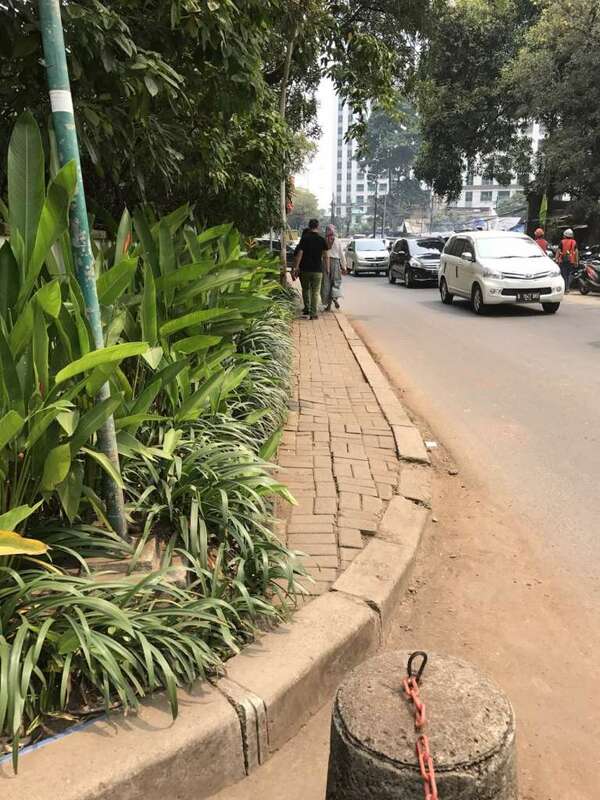 As I had already mentioned before, the city of Jakarta is not easy to walk around, and I suppose main reason for this are narrowness of sidewalks and the hot weather. Some areas such as the Senayan which had been recently developed are provided with pedestrian space, and some people enjoy walking or jogging in the morning. However, most of people cannot walk outside easily and we can see many people in the air-conditioned shopping center strolling about or staying in café. Indonesian cuisines are generally casual foods such as Padang dishes of Sumatra island, Gadugadu, Mie Ayam, Nasi Goreng and so on, and when you seek higher-class, oxtail soup of some hotels may be recommended. By the way, you can find no Java curry in Java, just as the same result when you seek a Tianjin-Rice Bowl in Tianjin. It is a phenomenon common to Asian countries, Rahmen, Udon and Japanese cuisine seem to be popular among people. As tariffs on alcoholic beverages are high, wine, Shochu etc. are far more expensive than local beers. As Muslims cannot drink alcohol, they do not serve even beers at local food restaurants. Indonesia as such has the growing economy and it is said that its GDP will surpass Japan in the 2030s, become the fourth in the world in 2050. To tell the truth, I cannot be convinced by this fact yet. At present, legal stability is low and it is difficult for overseas companies to advance. It seems that it will take some time for society to mature. Nonetheless, the population of the middle class is definitely increasing, and domestic demand will increase. The potential is high, indeed, the Asian Games were held last year. Depending on the future steering of top leaders, Indonesia may become a country where the Olympics can be opened.